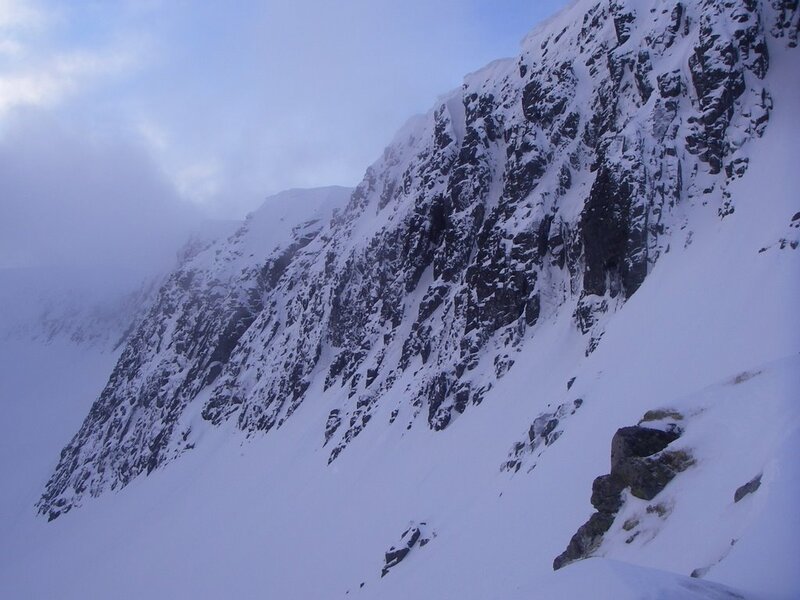 Today we manged to get this shot of the crags in Coire an Lochain before the clag came in. Despite some mild temperatures over the last few days, the crags are still looking quite wintry. Most of the gully lines are complete, however large cornices are found at the top of some routes.